... is when you reach the top of the ladder and find that it was against the wrong wall. Midlife crisis is a symptom of the modern age and it can be confusing, disorienting and unpleasant. If you or your partner are facing mid-life crisis, this page can help. Are you in Midlife Crisis? These feelings characterise midlife crisis. If you have most of them, then you're probably in your forties and you probably are going through your midlife crisis. Midlife Crisis was first identified by psychologist Carl Jung. It is a collection of symptoms felt, usually, by people in the broad range of ages between 20 and 60 - in my experience there is a large "bump" in the 40s. 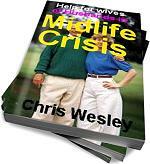 Midlife Crisis is a natural process but it can feel very unpleasant. Sometimes, mid-life crisis is known as the "second identity crisis" (the first happens during adolescence). Like adolescence, "midlife" is one of the stages of life - it's natural and unavoidable. It is a phase when major adjustments to the personality and outlook occur. It is often unsettling, but it is also transformational - it's like a second growing-up, and you'll probably emerge from it a better human being. Perhaps that's difficult to believe just now. Midlife crisis may be triggered by some specific event - like the death of a loved one, or the success of someone you know, or an illness, or redundancy, or debt - or it may begin for no apparent reason at all. The fact that it's unsettling can sometimes lead to denial - but you cannot avoid it. It's important to acknowledge that it's happening, to accept it, to go into it and learn from it - to participate actively in the process, and in that way, organise its passing to be a more pleasant and more productive process. In adolescence, we must let go of childhood and dependent relationships before we can become adults. Similarly, in midlife, there is some letting go involved, which can be difficult. For example, mid-life is called "the second identity crisis" because we must let go of our obsolete self-image and move into a better one. We may also have to let go of ideas about what we thought was important, in order to take up new ones. All of this amounts to a search for meaning. Like birth, it's painful, but essential - and at the end of it there'll be a wonderful new you! And it's worth pointing out that, in mid-life - you have a wealth of experiences and life skills, and these can help you on this journey if you apply them correctly. These comments are from real people looking to me for help. I'm including them so that you can see the kinds of issues which I work with daily. I hope they will help you to feel less alone. All of these situations are amenable to coaching. Feels like things are hopeless; stressful job [...]; wife works as [...] and because of hours worked not enough quality time; kids going off the rails being very naughty..
[My boss] treats me very badly and belittles me at every opportunity. However, we work in a very niche area so i can't just leave and find another job! Also, money is tight and I'm under pressure to provide my wife and daughter with all of the things that I think is needed for a quality life.. I moved to a new country 7 months ago. I realised I would need time to adjust and make new friends. Have plenty of friends. Am VERY discontented and miserable. Have I made a mistake? Know mistakes can always be rectified. I do not have to stay here---but will I feel any better if I go elsewhere? I am on [anti-depressants]. The same feelings occurred this time last year. What is wrong with me? I am unable to do the things that I think I want to do, like going to watch a football game or catching with old friends. Career wise, not very fulfilling. seems to get nowhere in career.. Some days are better than others, but some days i feel very emotional and to the point of crying sometimes..
What can Life Coaching do for your Midlife Crisis? It's big scary stuff, isn't it? And it doesn't easily go away. So how can I help? I suppose the first thing is to say what I can't do. I can't make you young again, or immortal. I can't put you back in love with your partner or undo your affair or motorbike accident. I can't make your partner and children disappear or take away your pain with a wave of the hand. Obvious, perhaps, but I've had clients who thought otherwise! Firstly, we'll look at your sources of unhappiness - the things which place you in your mid-life crisis. This isn't usually as straight forward as it sounds, because you may have some buried beliefs or outlooks which prevent you from seeing things as they are. I'm trained to find those things in you, and to help you to see them and remove them. When that's done, you'll have a much clearer view of your world. Once we have that clear view of current reality, we can see how you want to change it - we can define what a better life for you would look like. Again - this isn't usually straightforward. Our own limiting beliefs push us in the direction of settling for what we think we can expect - rather than going for what we really want. We need to end up with a new life design for you which is both inspiringly wonderful yet completely believable. So - at this point, we'll both understand why you're in your mid-life crisis and what it means for you to be out of it and happy. Next, we need to develop a plan for you to move from where you are to where you want to be. That plan needs to be powerful - it needs to work. The main problem in this phase of your coaching is again - limiting beliefs about yourself and the world. You'll need to believe new things about yourself - things you currently know are wrong - except they're not wrong - you're just completely sure that they are. So - we'll develop a new plan for you. Executing the plan - doing stuff - is where the untidy business of theory meeting reality happens. Scary stuff! You'll need to move out of your comfort zone - to do things you don't normally do - things which frighten you. I'm here to help with that. In our regular sessions, we'll look at what you said you would do and what you actually did. If you didn't start we'll look at why not - in a friendly, non-judgmental, entirely positive way. We'll wheedle out those fears and hates which are keeping you in the life you don't like. We'll confront and those "reasons" which kept you inactive, and remove them for you. We'll start walking for real - not in dreamland. This is where stuff really starts to happen! Of course, problems will arise, and we'll tackle them. I'll keep you positive and focused on reaching your new life goals. My coach training and experience allows me to see what's going on and to ask powerful questions or prescribe specific exercises to help you climb over the obstacles. Your regular phone sessions keep pointing you at your goals. You can't forget them when you're being coached. Left on your own, especially when you're feeling very low - you are highly lightly to lose interest in the possibility of positive change. You're more likely to become inactive - or actively destructive. I am there with professional training and experience to help you in all phases of your journey. I've done a lot of this work. I know how to help you formulate goals, measure progress, surface fears, expose limiting beliefs, etc. I know how you're probably feeling and how to move you to different mental states. You are in charge - I do not tell you what I think you should do - I allow you to find the best way forward for you - in your life. But I'll do all that I can to help you be successful. I have an external perspective which you cannot have because you are living in your life, and I am not. So I can see things which you may take for granted, or see as inevitable - or perhaps do not see at all. I can see your partner, your job, your marriage differently from you. I can see opportunities you pass over. You can benefit from all of this. I'll build rapport with you, but - unlike any friends you may talk with - I am detached enough and highly and motivated to help you rather than to tell you what will suit our relationship or what will make you happy. My training allows me to work on your morale and energy levels. Your challenges may take some time to conquer, so you'll need stamina to keep going, and I'm there to help. Can You Solve Your Mid-life Crisis Alone? Yes. In fact, if you do nothing at all, it's likely that your mid-life crisis will disappear eventually. But it could take a decade, and you might do quite a bit of damage in the meantime. Here are a few alternatives for you to consider. There are some good books available, but, in my view, too many self help books are 90% fluff and 10% meat. They need to justify the book and its price, so it has to be a credible size. The first few chapters will be anecdote - telling you through other people's lives what you already know through your own. That's why I wrote my guides - short and straight to the point (a bit like me!). Books are massively limited because they are not interactive. A book cannot answer your questions, or remove your doubts. It cannot be there to support you when things go wrong. It will not spot that you're feeling very low, or looking skeptical, or on the point of giving up. A book just sits there waiting for you to read it.  As your coach, I'm highly interactive and there for you when needed. That's true of my guides too, of course. So I would say firstly, go for coaching if you can - alternatively read one of my guides. Finally, if you like, read a book or two. Yes, certainly do that, if you have friends you can confide in. And of course, friends are interactive. But friends cannot always give you as much time as you need, whereas your coach can. Your friends will not be trained to spot hidden limiting beliefs or set quality goals, or inspire you to keep going. And friends may have other agendas which will work against yours - they may not want you to make life changes. Your friends may not feel able to be completely honest with you for fear of losing your friendship. They may also offer faulty advice. And finally - your friends may be part of the problem, so it may not be possible to discuss things with them. It's simply very unlikely to work. Trying harder is not going to get you out. Most of us have a cripplingly limited view of the world because of our own life-context - which we cannot step out of. And we do not have the internal resources needed to actively pull ourselves out of our situation. We'll try now and then - and the failures will tell us that it's not possible - that we may as well hunker down and make the best of it in quiet desperation. WRONG ANSWER! Look back at your attempts to make significant changes in your life. If you have a great track record, then congratulations - this could work for you. If not, then remember - a life coach is a powerful external resource which you can employ to give you the lift you need. I hope I've shown you how life coaching can help you to maintain the focus, analysis, positivity and stamina you'll need to lift yourself out of your mid-life crisis. So how exactly does it work? Sessions are conducted by phone and last 45 minutes. You may choose how often you have your sessions - weekly is normal to start - and how many you have - a course of 4 is a sensible minimum, but a coaching relationship might run for longer - perhaps much longer. You're always in charge. We talk. What we talk about depends on where we are in the coaching process, and on what's happening in your world, and on how coaching works best for you. But in general, we'll look at where you are and where you want to be. We'll create and clarify inspiring goals for you, then we'll develop powerful strategies to move you towards your goals. In our regular meetings, I'll use powerful questioning techniques to free your mind from its previous constraints and to remove any damaging hidden beliefs you may have. Through our calls, you'll get a regular opportunity to take time out from your busy life to analyse things. You'll get an injection of enthusiasm and companionship. We'll problem-solve during untidy time when theory meets the real world. Inevitably, problems will arise and we'll address them together. Changes in the plan will be made. I am trained to listen very carefully to what you say; to find your self-limiting beliefs and work with you on their removal. My experience, training and external perspective on your life are an extremely valuable asset to you - this is the magic of life coaching. I can untangle your confusion, boost your confidence, build your motivation and your stamina, and keep you actively focused on meeting your goals. Together, we'll find you a way through your mid-life crises and into continued happiness. I can coach you through your midlife crisis, helping you to see through the fog, to manage your stress, to see your options, and to make sound decisions. To explore that further with me, book an initial phone consultation for £10. For those who cannot afford coaching, or are not comfortable with the idea, I've written two guides. One is for people who are in midlife crisis, and one for wives whose husband is in midlife crisis. In each guide I've done my best to transfer the benefits which coaching gives to the page. They are short, to the point, and easy to read - but please realise that reading them is not where the benefits arise. The benefits arise when you do what the guide asks you to do. Typically, these activities are reflective exercises which help you to understand your situation and your options better, and to make better decisions. The guides are not as helpful as coaching is, but they are quicker, cheaper and available for rapid download.